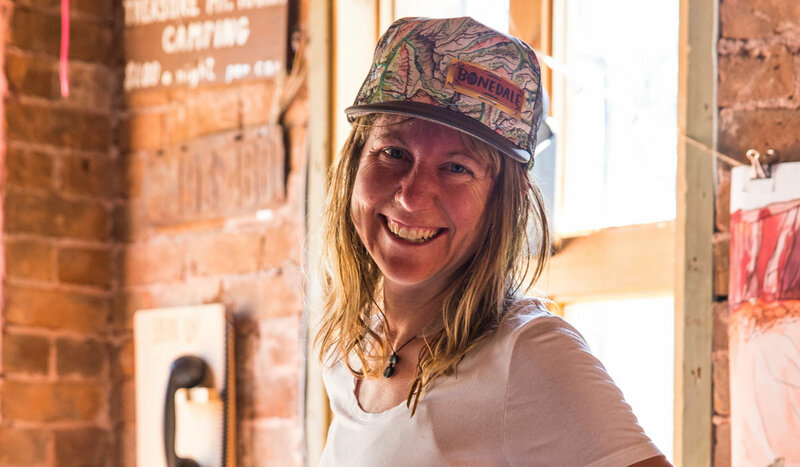 Like many behind bars, Sarah Uhl bides her time seeking. 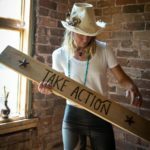 She pursues the answers to Big Questions, finds moments of geological ecstasy, and relishes opportunities for unadulterated joy. 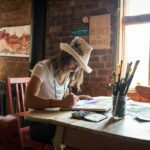 As an artist, she documents all of these with whimsical exaltation. 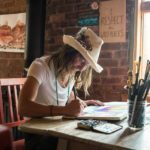 Uhl works out of the historic Carbondale jail, where she’s created a stylish, welcoming studio. 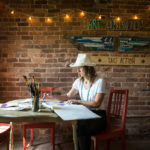 Stacks of originals, prints, cards, brushes, paints, and product are a colorful contrast to dusty old brick walls; her string lights and lo-fi add warmth to a diggable scene. 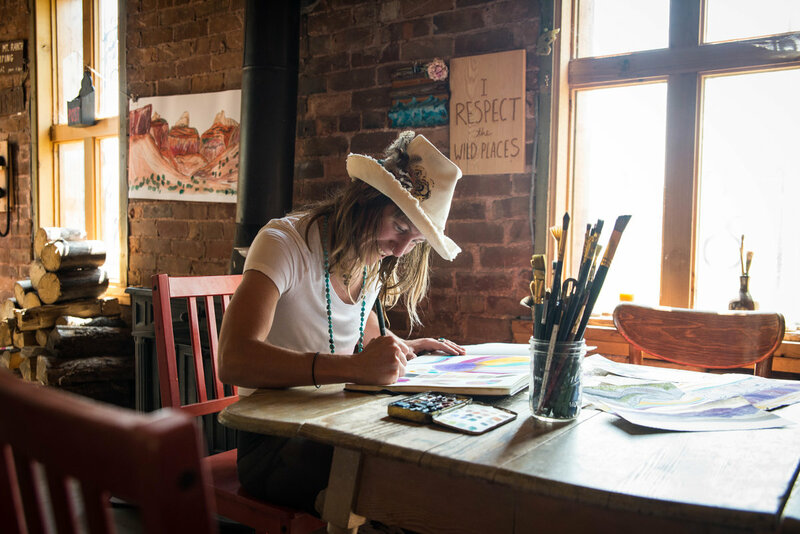 Rigorous discipline and the creative life are evident. 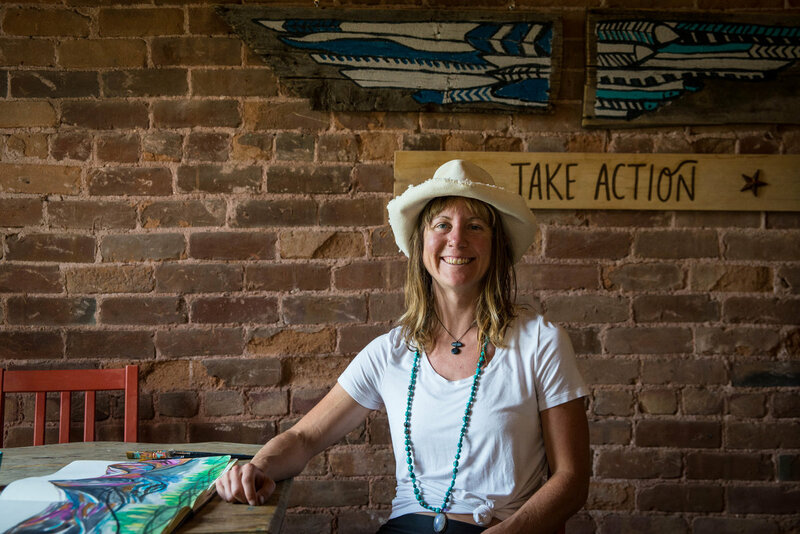 The drive Uhl once applied as a world champion bike racer has shifted gears; nowadays she’s finding balance and purpose through art and environmental conservation work. 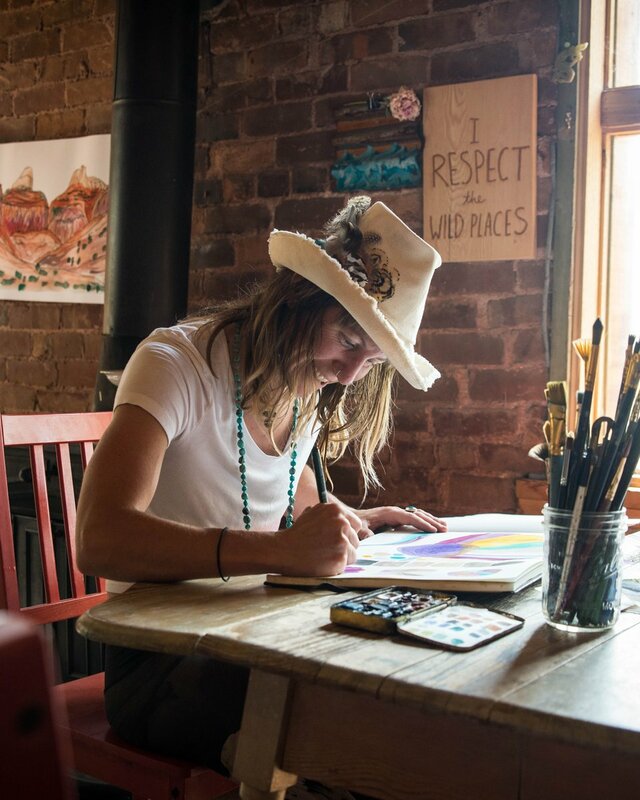 Her work is everywhere, from community walls to ads to apparel. 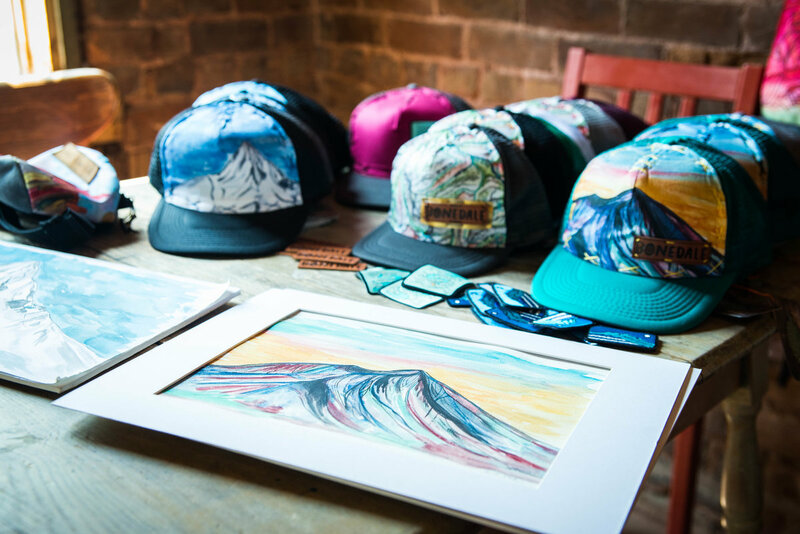 Free Range Equipment crafts sport-specific, streamlined packs. 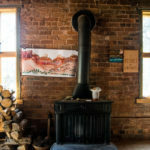 Uhl is one of several mountain artists with whom founder Tosch Roy has collaborated. 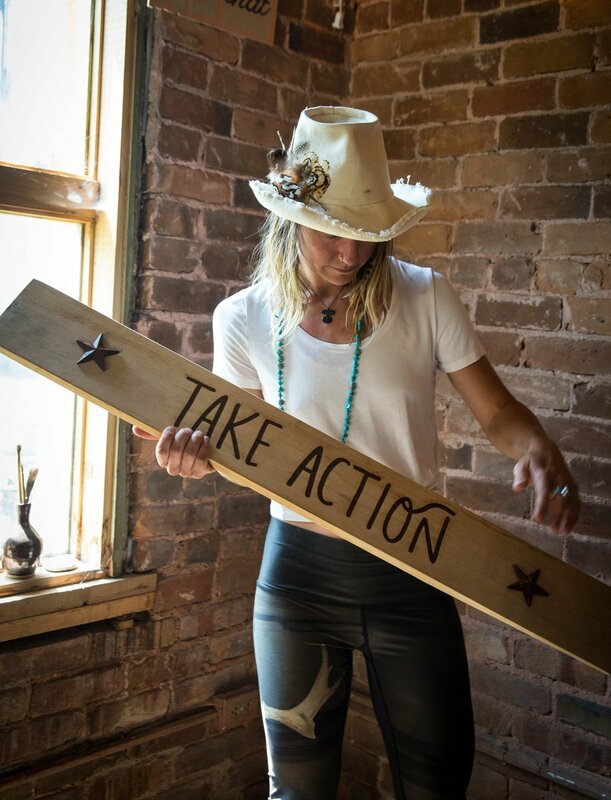 As a storyteller, stories are important to Uhl and working with Blowfish Hats speaks to that. 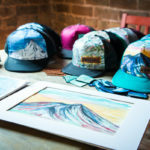 With origins in the Roaring Fork Valley, Blowfish wants “hats to connect people to each other and to the wild world around them,” says owner-partner, Erin Erickson. 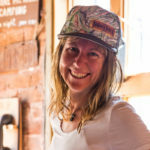 Uhl often encounters her own artwork on Blowfish trucker hats throughout the valley and backcountry. A watercolor map of the Roaring Fork watershed! 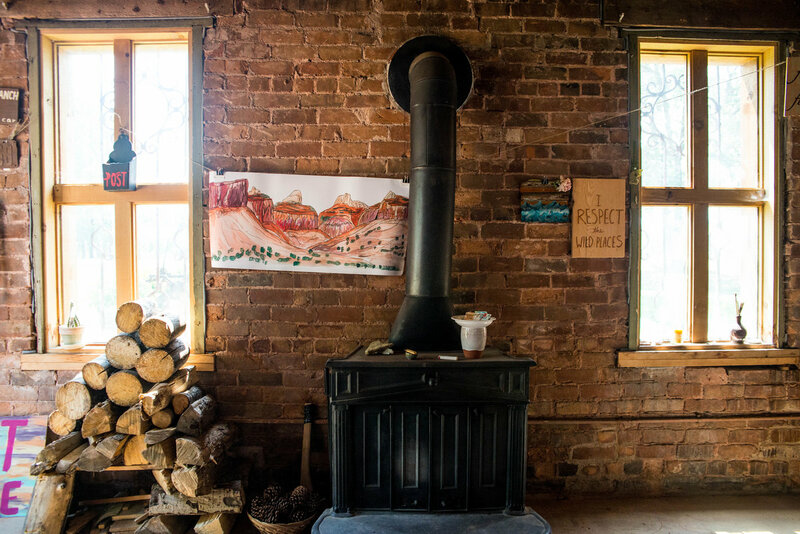 “This was a really special project because it’s a study of my own back yard,” Uhl notes. 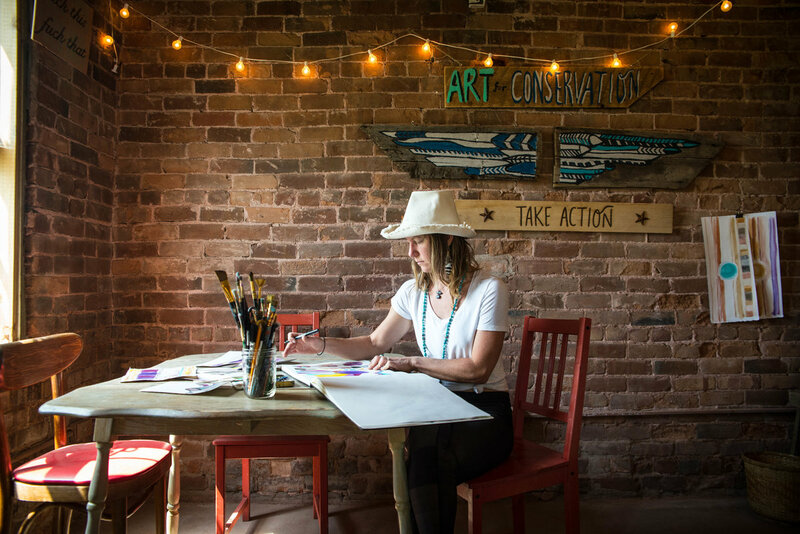 “My task was to glorify our watershed, and articulate what a watershed is.” The artist’s original will hang in Basalt’s new Roaring Fork Conservancy River Center, where prints are also available for purchase. 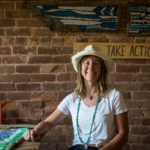 Visit SarahUhl.com to learn more about her artwork and environmental advocacy—and to snag a trucker hat.